South Africa has more than 2230 identified spiders, and in the warmer summer months, chances are good you will encounter some of them. We all know that spiders are our friends – they eat flies and mosquitoes and other bugs that we do not particularly like. But unfortunately, some of these spiders could leave a bite that is not as friendly. Knowledge is key to protect your family members and loved ones from both the less harmless and potentially venomous spider bites – you need to know your South African spiders, how to prevent bites and what to do when a bite does happen. Spider bites can be nasty, but rarely kill. But as with all venomous encounters, some people are more at risk for complications: the elderly, children, immune system-compromised and allergic people. 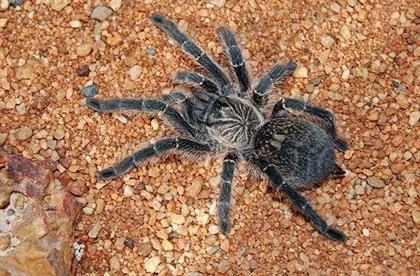 This is probably the most infamous South African spider and falls into two categories: the black button spider can be deadly, and the less venomous brown button spider. These highly venomous spiders are black with red bands or longitudinal stripes on its abdomen. As the spider grows, it moults and loses the red pattern, which is often replaced with white spots and, when it is an adult, it is totally black. 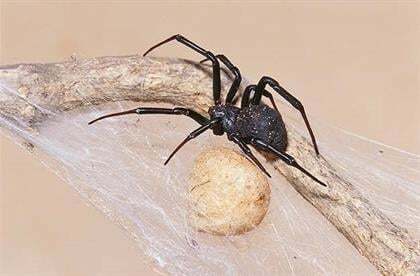 The South African black button does not have an hourglass marking (don't confuse it with it's equally venomous American Black Widow and Australian Red Back cousins that do have a ventral red hourglass). The egg sacs are smooth and round. Males are small, from 3-6mm, and the females have a body length of 7-16mm. There are 31 species of black button spiders worldwide, with 8 of these in Africa, Prof Ansie Dippenaar told Netwerk24. Excitingly, a new species has been found in KwaZulu-Natal, for now called the Phinda black button, and it's potentially the largest black button in the world. Arachnologists are currently studying the new species, which has a red marking on its back as well as under its abdomen, making it unique. The brown button can be identified by the orange to red hourglass underneath its round abdomen, which can be anything from grey to cream to brown or black. The upper side of the abdomen has round geometric markings and the brown legs are dark at the joints. The egg sacs are white with spikes. The males have a body length of 4-7mm and, the females, 8-14mm. Button spiders are found all over South Africa, and they usually reside in quiet, dark places. They also wander into houses, and most bites occur when the spiders are disturbed in its hiding place. The button spider we tend to see in sheds and under windowsills is the less venomous house button spider. Button spiders have neurotoxic venom, which means that it attacks the central nervous system, but only the black widow's venom is potentially lethal. Only female spiders have fangs large enough to pierce human skin. Black widow bites are very painful and symptoms will appear shortly after the bite. These symptoms include sweating, raised blood pressure, muscle pain and cramps, pain and weakness in the limbs, the face becomes contorted, flushed and sweaty with drooping eyelids, dilated pupils and swollen lips. In severe cases the body will contort and shake uncontrollably. Button spider bites are usually treated in hospital with anti-venom and patients are usually well enough to go home after 24 to 48 hours. The good news is that no deaths from button spiders have been recorded. Also read: Beware the bite! Violin spiders are found all over South Africa but contact is rare. They are normally brownish with dark markings on their bodies, as well as a characteristic violin-shape on the cephalothorax. 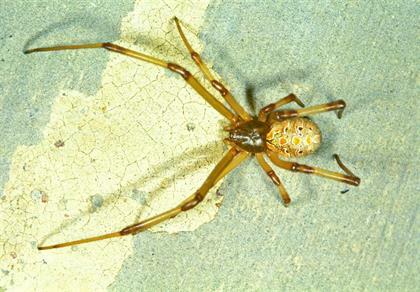 The violin spider ranges between 8 and 19mm. Bites are rare, and usually happen at night when the victim is sleeping. They have cytotoxic venom, which means it destroys tissue. Bites are small and usually painless, but after a few hours the site forms a blister and necrosis develops, only affecting the skin. Skin lesions are usually misdiagnosed as Cytotoxic envenomations caused by spiders. Alternate causes should be checked before simply misdiagnosing it as spider bites. That being said, untreated bites can lead to infections, septicaemia and necrosis – and surgery may be needed to remove the dead tissue. If you see any skin lesions or ulcers not caused by known injury which gets worse, go to the doctor immediately. An antibiotic cream or round of antibiotics may be needed. 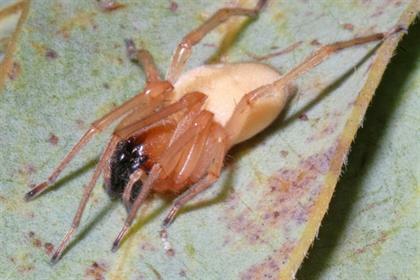 Sac spiders are light brown with a black face and range between 4 and 12mm. 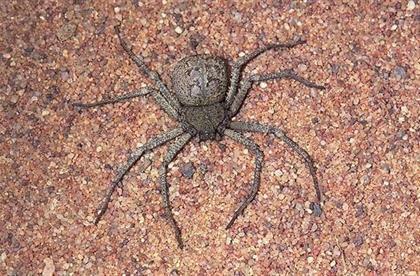 It is an aggressive spider but is not implicated in spider envenomations in South Africa. They were blamed for 70-80% of nasty bites but this has been an assumptive diagnosis due to tests done on rabbits. 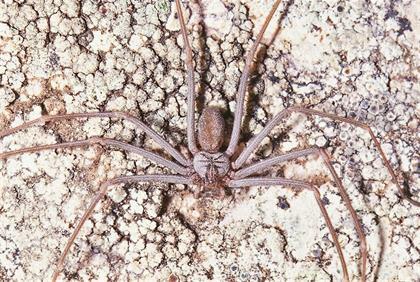 Long-legged sac spiders do not have the enzymes to cause necrosis. Baboon spiders can be anywhere between 13 and 90mm, but in South Africa we don’t usually see a body length of anything more than 60mm. They're generally not dangerous, even though they can inflict a very painful bite that may last from 10 hours to 2 days. These spiders are rare – they are found in desert areas and basically looks like a crab with sand stuck to its body, as they take on the colour of the sand they live in as tiny sand particles adhere to their cuticle. They range between 7 and 13.5mm. No human bites have been documented, but studies on rabbits have proven that these spiders might be lethal to humans, their bites causing massive tissue destruction and internal haemorrhaging. They, along with violin spiders, contains the enzyme Sphingomyelinase D that results in necrosis in humans. Keep your backyard clean from rubble – spiders love to hide in rubble. Go out at night and teach your children to watch spiders in their webs and not to touch them as spiders bite when they are hurt or pinched. When collecting firewood for a braai, check for spiders and especially for scorpions hiding in the wood. Inspect the underside of windowsills often – button spiders are notorious for hiding there. If you regularly find spiders in your house, check your children’s beds before you tuck them in. Clear clutter from the floor – encourage your children to throw clothes in the laundry basket and pick their toys up. Regularly inspect curtains and night frills for sac spiders – they are usually found in a silky sac in the pleats. Check behind picture frames and dust regularly. Check shoes before putting them on. It is surprising how many people get bitten on their feet. Try not to leave clothes on the washing line overnight, and if you do, check them thoroughly before putting them away. Keep calm. A spider bite does not mean instant death – in most cases adults only need a painkiller, antihistamine and wound management. For button spiders, however, the patient should be taken to hospital immediately. Also, children should be checked out by a doctor as soon as possible after a bite. Try to catch the spider if you can do so safely or at least take photo – this makes identification and treatment much easier. Wash the bite site with soap and water. Apply an ice pack. There is no way of controlling the pain. Morphine has no effect and the only pain control is to anaesthetise. Wounds should be kept clean, and antiseptic cream applied regularly. Allergic and even anaphylactic reactions to the antivenom may develop but not due to the envenomation. All spider bite victims must go for a booster tetanus injection. If more severe symptoms appear, see a doctor immediately. Ask the attending doctor to phone the Poison Information Helpline: 0861 555 777 at Tygerberg Hospital for a diagnosis and treatment. 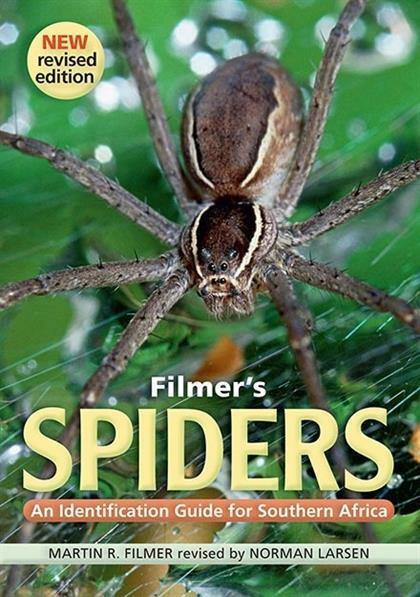 All images and updated information was supplied by Norman Larsen and his work on Filmer's Spiders: An Identification Guide For Southern Africa by Martin R. Filmer, Penguin Random House. You can get your hands on the fantastic field guide via the Penguin Random House website, as well as through Takealot. 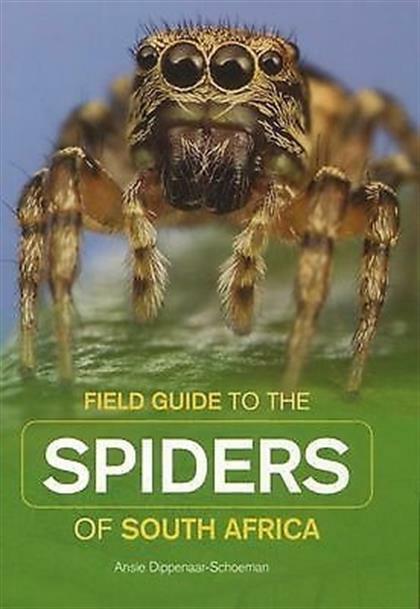 Another excellent guide we used for this story is the Field Guide to the Spiders of South Africa by Ansie Dippenaar Schoeman, published by Lapa, available via Takealot. Have you or your kids ever had a close encounter with out eight-legged friends? 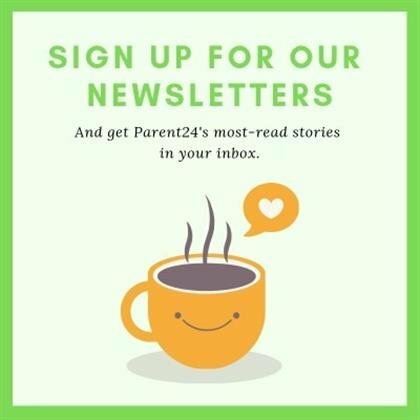 Send your stories to chatback@parent24.com.